As one of the largest tropical storms to hit the United States, Hurricane Sandy has already claimed the lives of approximately 38 people and caused billions of dollars in property damage. Unfortunately, however, government officials expect both the death toll and property damage costs to increase as cleanup efforts continue. Those victimized by the hurricane have already struggled to survive the destruction wrought by recent events. However, contributing to the volatile situation, are insurance companies that are denying applicants proper compensation for their claims. Many people have already reported that their insurance claims are not being paid in full or in a timely fashion. Therefore, the assistance of a Hurricane Sandy insurance claims attorney may prove beneficial to those having such problems. Free Hurricane Sandy Insurance Claim Lawsuit Evaluation: If you or a loved one has suffered property damage caused by Hurricane Sandy, and were subsequently denied adequate payment from your insurance company, you should contact our law firm immediately. You may be entitled to substantial compensation by filing a lawsuit and we can help. Sandy, recently dubbed the “super-storm,” was a tropical hurricane that affected the greater part of the Caribbean, Mid-Atlantic, and Northeastern United States in the few days leading up to Halloween of 2012. As meteorologists had predicted, Hurricane Sandy was at best, a worst-case scenario. The extraordinary intensity exhibited by the storm, in conjunction with its immense size, obliterated many records along the East Coast. Winds in excess of 90-miles-per-hour ravaged the entire eastern third of the country while a crippling amount of heavy snow blanketed the northern regions. Though cleanup efforts have just begun, preliminary calculations by senior government officials have estimated that hurricane Sandy is responsible for approximately $20 billion in damages, making it among the most costly natural disasters to hit the United States. The aftermath of the super-storm has witnessed the displacement of millions of people. Furthermore, countless others have been left without a means of survival, wondering if their property is still in tact. 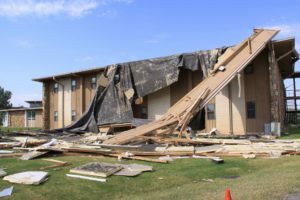 Those unfortunate enough to have lost their homes, or personal property, have quickly turned to their respective insurance companies for assistance. Of significant concern, however, is an influx of reports that suggest insurance companies are neglecting to provide adequate compensation for the claims that have been filed in the wake of Hurricane Sandy. Therefore, countless individuals find themselves being treated unfairly by those that are paid to help in a time of crisis. Ensuing chaos is therefore the result of insurance companies trying to maximize their profits as opposed to clients’ protection. If you find yourself in this position, contact a Hurricane Sandy insurance claims attorney at Schmidt & Clark, LLP. Following a natural disaster, like that of the recent “super storm,” the assistance of a Hurricane Sandy insurance claims attorney may protect victims from negligent insurance companies. All too often, insurance providers will quote policy holders below the standard deviation of what they are entitled to. In doing so, respective companies maximize their profits while tricking consumers into believing that they were provided for. Negligent practices like this often prove to be extremely detrimental to the recovery process of natural disaster victims. Therefore, once your insurance company makes an offer to settle your claim, you should contact a Hurricane Sandy insurance claims attorney at the law offices of Schmidt & Clark, LLP. Often times, insurance companies will change their initial estimates when they realize that an individual has professional representation. Due to the rate and extent in which claims are being filed, Hurricane Sandy may prove to be the most costly natural disaster in the history of the United States. With the amount of money that is on the line, it is imperative that you have the best representation. Contact a Hurricane Sandy insurance claims attorney at Schmidt & Clark, LLP to make sure you are protected from claim denial, claim delay, property damage, water damage, and bad faith claim handling. Do I Need a Hurricane Sandy Insurance Claims Attorney? The Product Liability & Defective Drug Group at our law firm is an experienced team of trial lawyers that focus on the representation of plaintiffs in Hurricane Sandy insurance claims lawsuits. We are handling individual litigation nationwide and are currently accepting new cases in all 50 states. Free Hurricane Sandy Insurance Claim Lawsuit Evaluation: Again, if you or a loved one has suffered property damage caused by Hurricane Sandy, and were subsequently denied adequate payment from your insurance company, you should contact our law firm immediately. You may be entitled to compensation by filing a lawsuit and we can help. Motorcyclists must always anticipate possible road hazards and be prepared to maneuver out of danger, especially during the spring and summer months when road construction is everywhere. But all too often, motorcyclists are catastrophically injured due to the municipality and/or state’s failure to provide safe roadways. We are entitled to ride on public roads that have been properly built and maintained by our public servants. Public officials are required to post adequate signage on all roads that warn you of such hazards as “uneven pavement”, “rough shoulders”, “detours”, “loose gravel”, etc. They are also required to design our roads to encompass all variables such as speed limit, curves, traffic volume, geographic location, and so on. If you encounter any hazardous road conditions that may be injurious to you and your fellow riders, you must inform your jurisdiction (in writing and verified!) that there is a hazardous road condition that must be corrected. Once they have been informed, they are responsible to correct the problem immediately. If they don’t, and their negligence results in an accident, they may be liable for all your damages. Always carry a camera. You will need to document, document, document! If you have sustained damage due to their negligence, you will need to prove “causation” meaning that you must determine that the public utility’s failure to provide safe roads was the primary reason for the accident. Take pictures of the hazardous condition immediately. Many jurisdictions “magically” correct the problem before you can find them liable for their negligence and you must protect yourself. 1. Check with your local weather bureau before you set out. Many roadway surfaces are dangerously compromised by overnight frost, morning fog, lack of sunlight, etc. You need to know the conditions and anticipate the potential risk before you set out. 2. Check with your state Department of Transportation and get all current updates on roads that are currently under construction. If you observe any road condition that could be potentially hazardous to you, use caution. 3.This goes without saying – Never set out without first performing your pre-ride check. A jury awarded $5.9 million to a 47 year-old unemployed woman whose leg was amputated after her vehicle went off the roadway and crashed into a guardrail. Facts: The plaintiff was driving a Datsun 280Z on the on-ramp to an Interstate. As she was driving, a cup of hot chocolate spilled, causing her to drive off the on left side of the on-ramp. As she tried to re enter the roadway, she was looking over her right shoulder when she struck a guardrail on the bridge that crosses over the boulevard. She claimed that the guardrail speared through her vehicle, smashing her left foot and cutting off her right leg. Plaintiff’s counsel argued that had the guardrail been properly installed, she would have been involved only in a minor non injury collision. Plaintiff’s counsel determined that the guardrail she struck had been improperly installed. The Federal Government had complained to the director of the State Department of Transportation about the same deficiencies as those in this guardrail, the plaintiff reported. The Transportation Dept. countered the plaintiff’s claims by maintaining that the guardrail was properly installed. It also claimed that the plaintiff would have suffered the same injuries regardless of the guardrail installation because of the way she allegedly struck the rail. Injuries: The plaintiff’s right leg was cut off at the knee. At the hospital, her stump was amputated at the mid-thigh due to the severe damage to the bones and muscles. Verdict: The jury found that defendants were 100% at fault for the plaintiff’s injuries. The defendants filed and lost a motion for a new trial. Over the past 30 years guardrails have killed & incapacitated more than 90,000 people. Our Law Office has successfully handled, and is currently handling, many of these types of cases. We are experienced in the intricacies of defective guardrail cases and can assist you in maximizing your recovery if you have been injured.